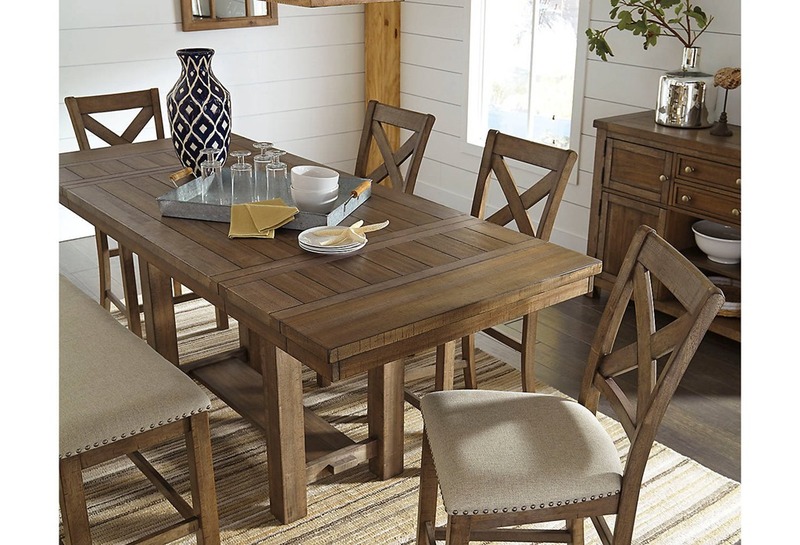 Dine in style while scaling back on the fuss. 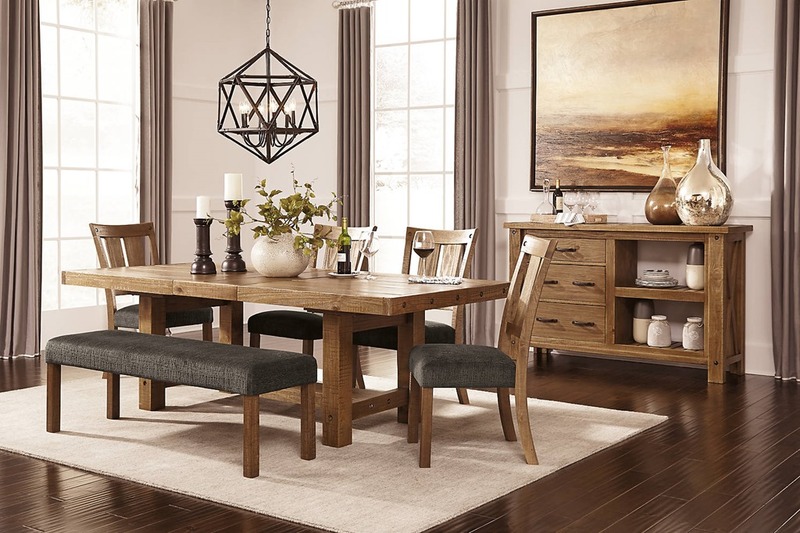 As this dining table proves to perfection—less is more. 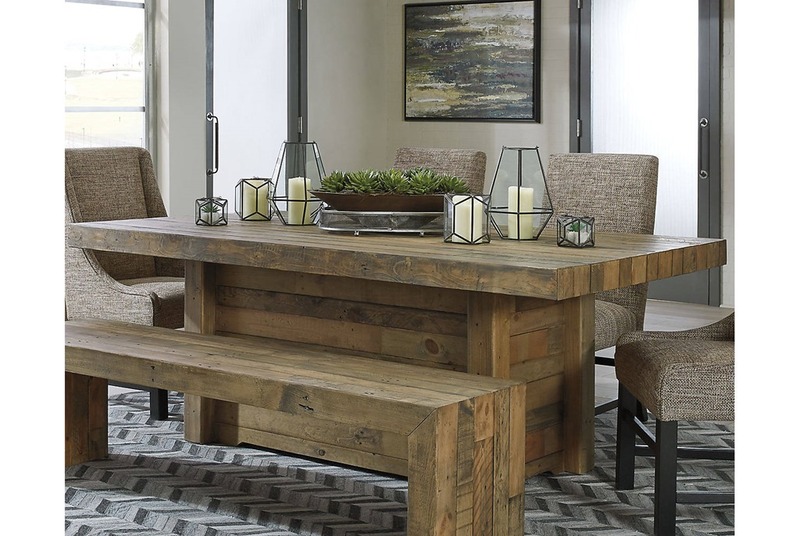 Crafted of reclaimed pine, its ultra clean-lined, chunky profile showcases long butcher-block planking rich with tonal variation, nicks, notches, nail holes and a whole lot of raw beauty. 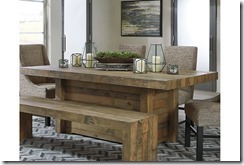 Table base has horizontal planking flanked with corner molding that supports the wide tabletop. 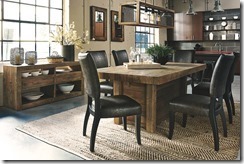 Seats eight comfortably with ample leg room. 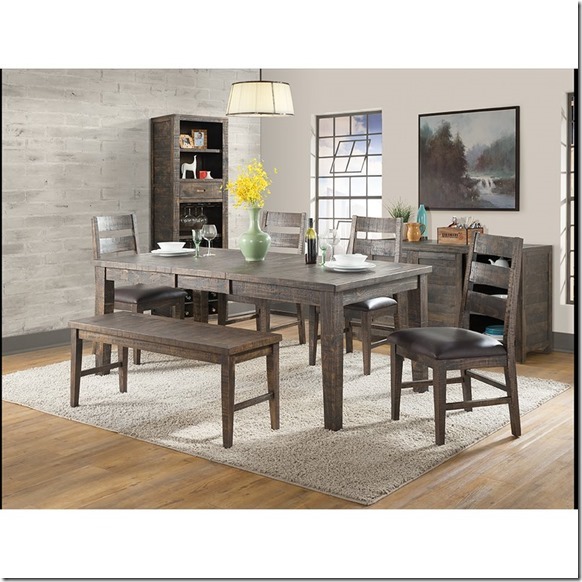 Pine solids in a long butcher block pattern with washed grayish brown textural finish that highlights the natural wood tones and nail holes. 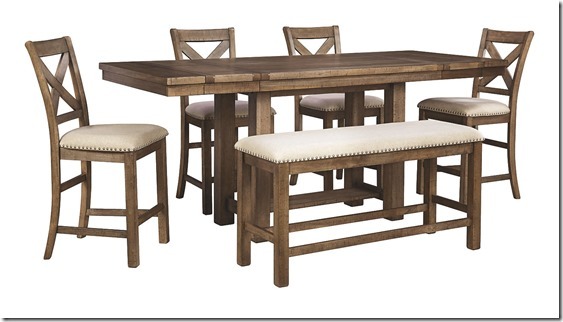 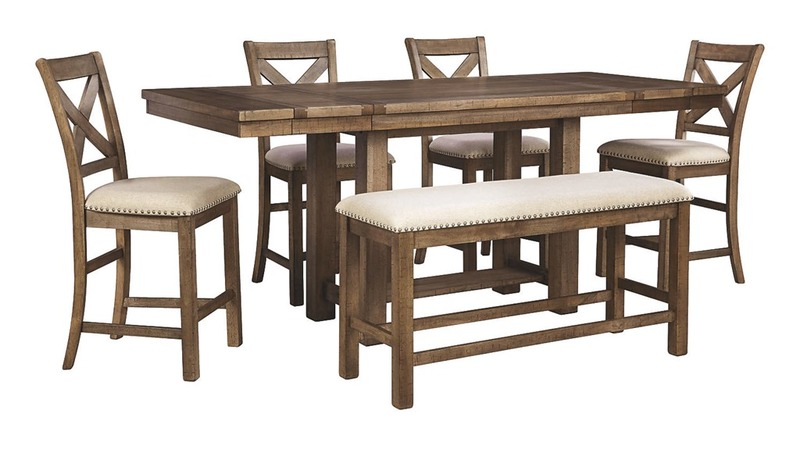 Pedestal table seats 8 comfortably while maintaining ample leg room. 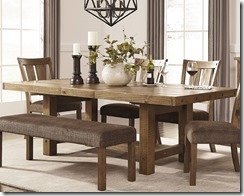 Large all-wood bench can seat 3. Server features contemporary rectilinear design with floating drawer boxes and has fully finished English dovetail drawer construction with ball bearing side glides. 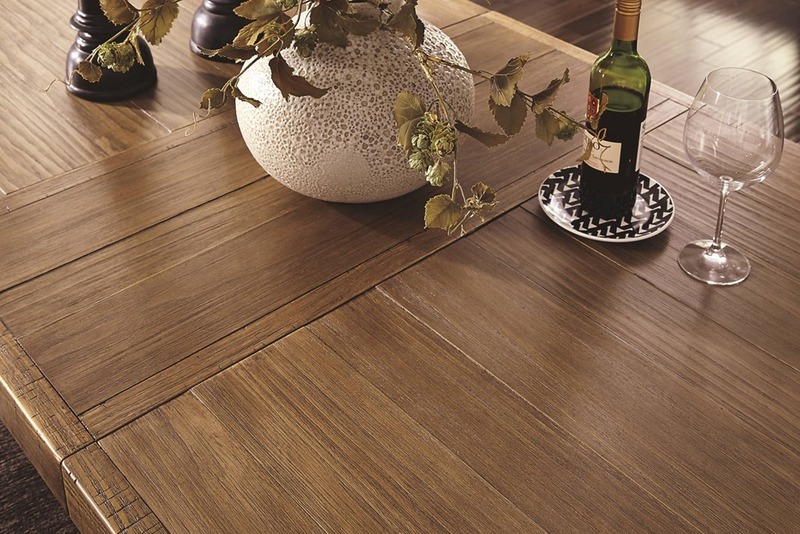 Indulge the senses with the Amilo dining room extension table in a light and natural honey-tone hue. 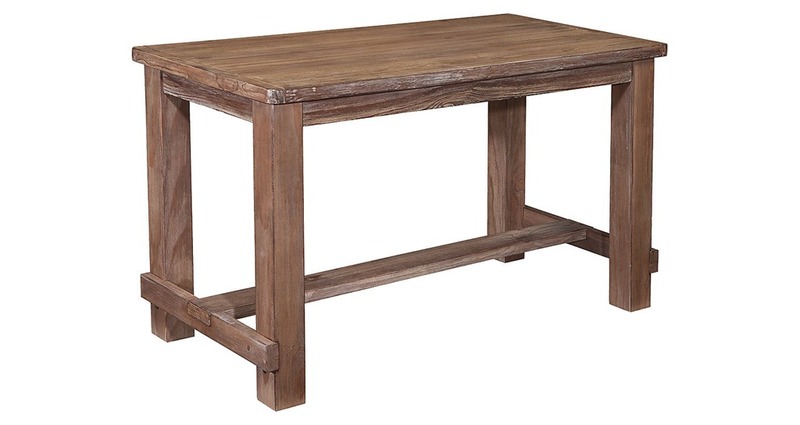 With its thick slab tabletop, blocky legs and supportive trestle base, it’s highly clean-lined style meets heavy-duty substance. 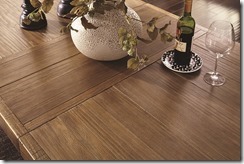 Extension leaf’s “against-the-grain” finish incorporates a cool contrast. 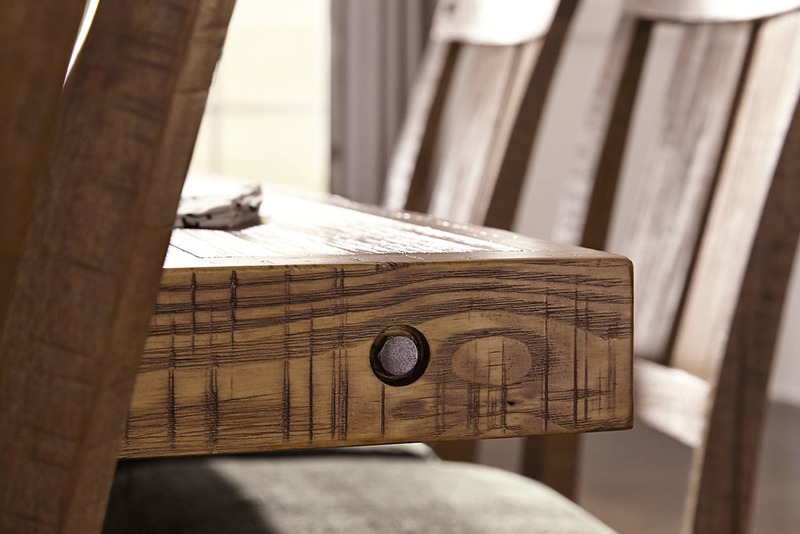 Saw-marked table edges with exposed bolt head accents add an industrial punch. 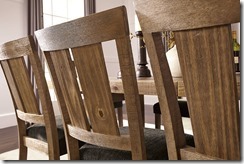 Made with Pine solids and veneers in a lighter natural honey tone with significant distressing and aged detailing. 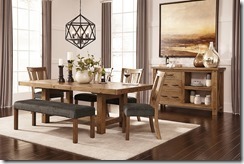 Server features cross buck side detailing, asymmetrical look with open slat shelving. 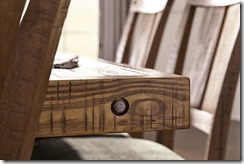 Planking effect on tops constructed with multiple thickness veneers for a hand-made effect. Dining chair features fabric seat and exposed bolt-head look. 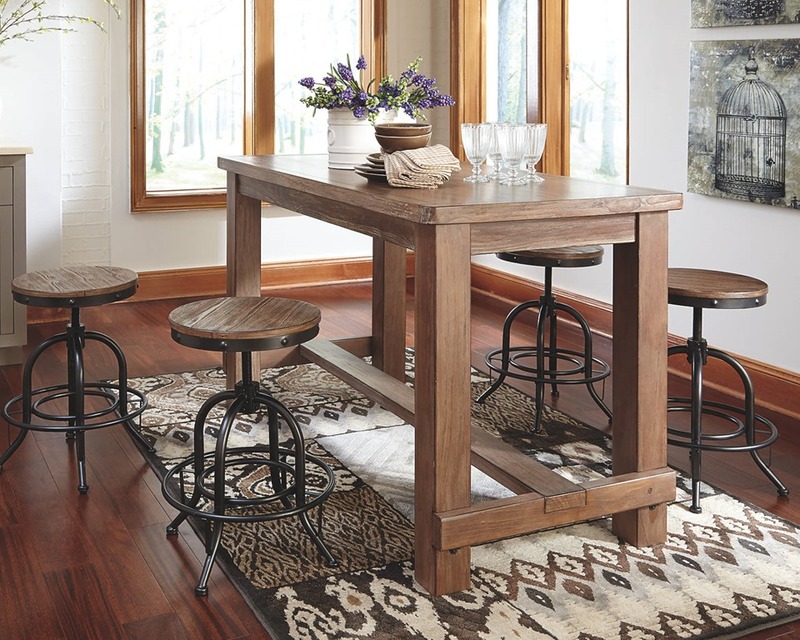 Hardware is an industrial styled bar pull with textural vintage bronze color. 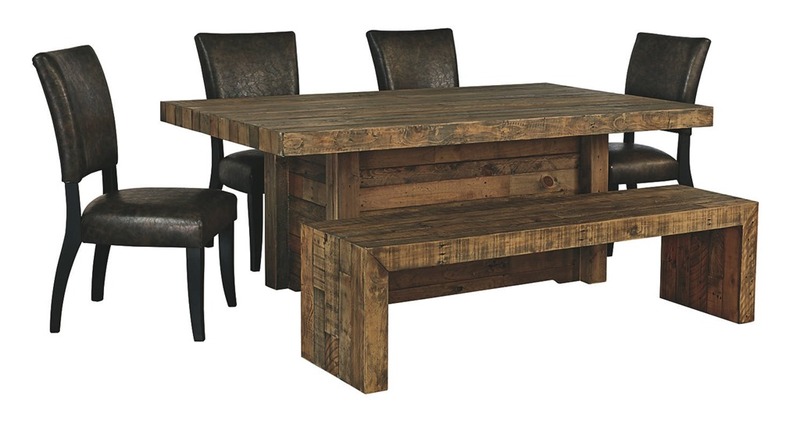 Rivelle counter height dining table might be simple at first sight, but a closer look reveals beauty in the details. 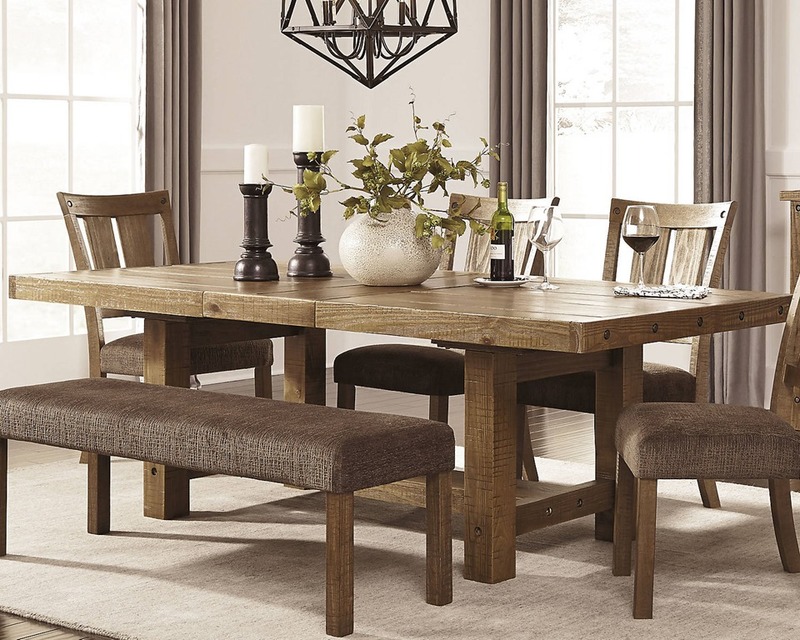 From the pedestal base to the plank-effect table top and distressed nutmeg finish, Rivelle is beaming with charm. 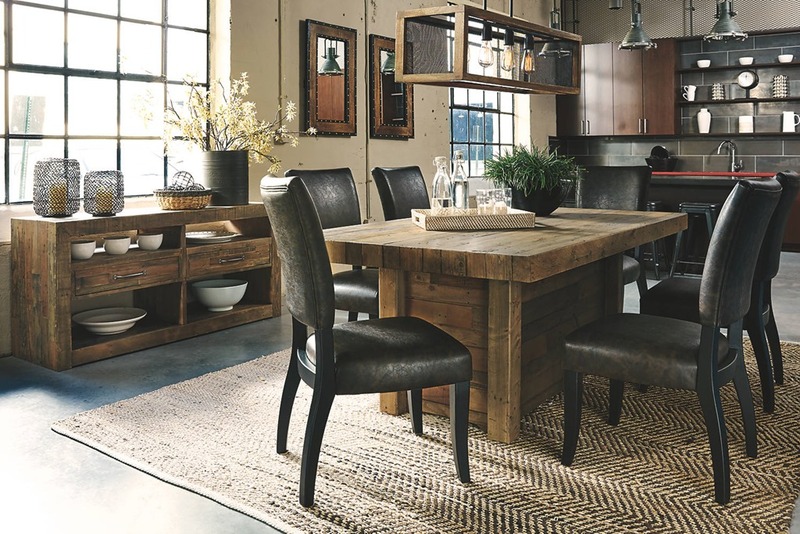 Small scale is especially suited to loft-style living, but two optional leaves ensure there’s plenty of space for parties up to eight. 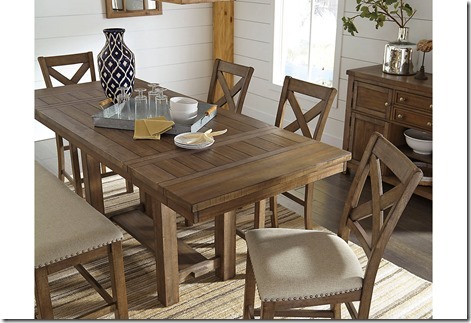 Tables and some stool accents made with select pine veneers and solids in vintage wire brushed gray brown color. 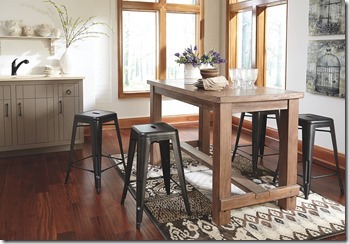 Stool frames made from tubular, stamped sheet and solid bar metal with a gun metal finish. 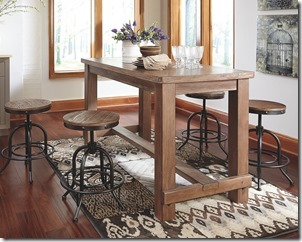 245D-224 and -230 stools have metal frames, wood planked seat with adjustable height swivel and metal footrest. 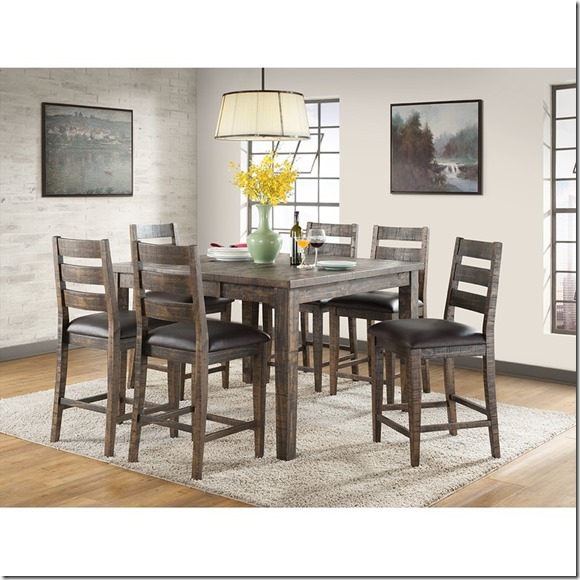 245D-024, and -030 stools are made from stamped sheet metal in a retro design with tubular X and stretcher bracing and a convenient handhold cut-out in the seat. 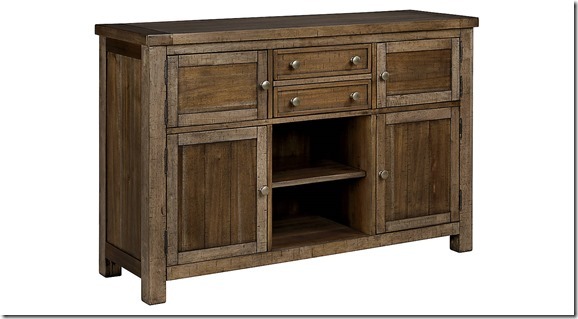 245D-024, and -030 have nesting design for compact storage. 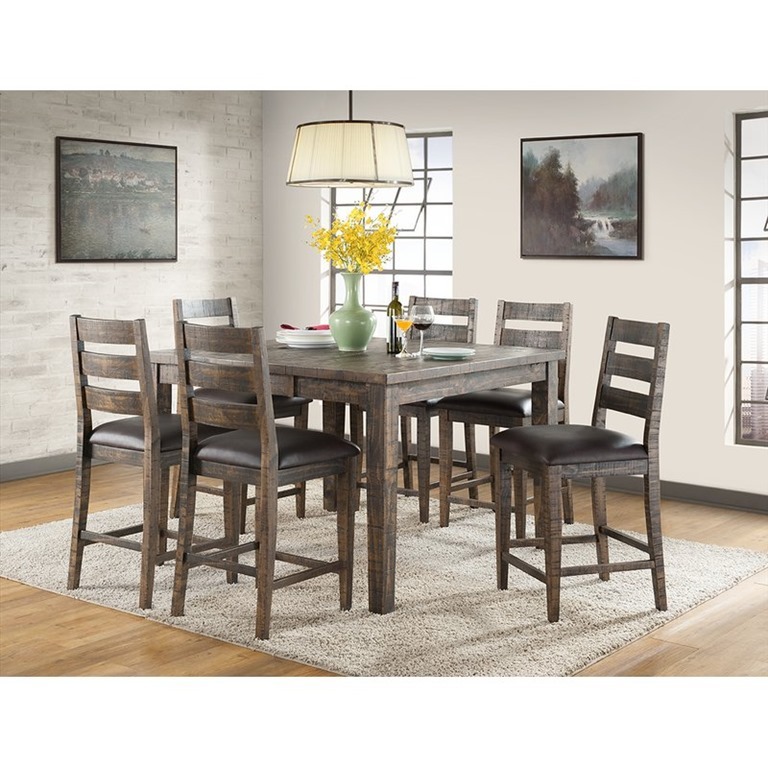 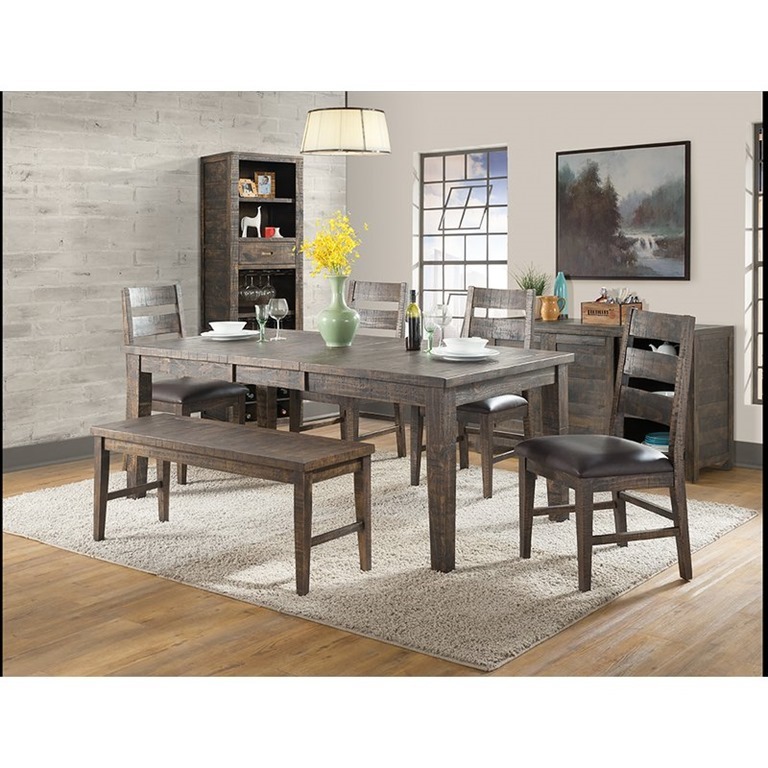 OLIV Rough sawn SOLID NEW ZEALAND PINE COUNTER DINING TABLE – 54″ W X 36″H X 54′ L – INCLUDES 15″ LEAF.